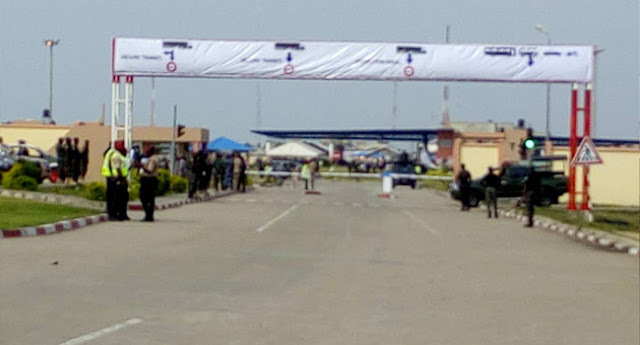 Ahead of tomorrow’s rescheduled Presidential and National Assembly elections, the Federal Government has ordered the closure of all borders by noon today, as the Nigerian Police will deploy all its 350,000 personnel and assets. The Army on its part, it was gathered, will also deploy all the General Officers Commanding, GOCs, Brigade Commanders and special task forces across the country for patrol. For the Police, all Special Forces including the Police Mobile Force, the Counter Terrorism Unit, the Police Air Wing, the Bomb Disposal Unit, the Police K9 Dog Unit, Marine Police, Police Intelligence Department and detectives of the Force Criminal Investigation Department have been mobilized and dispatched to the 36 states of the federation and FCT for the polls. He also disclosed that the Federal Government has approved free visa waivers for accredited election observers and monitors, many of whose entry visas expired as a result of last weekend’s postponement of the earlier scheduled election. NIS said: “Sequel to the rescheduling of the 2019 general elections to February 23 and March 9, 2019 and considering the plight of accredited election observers and monitors who were caught up by the rescheduled elections, the Minister of Interior, Lt. General Abdulraman Dambazau (retd) has approved a visa waiver.